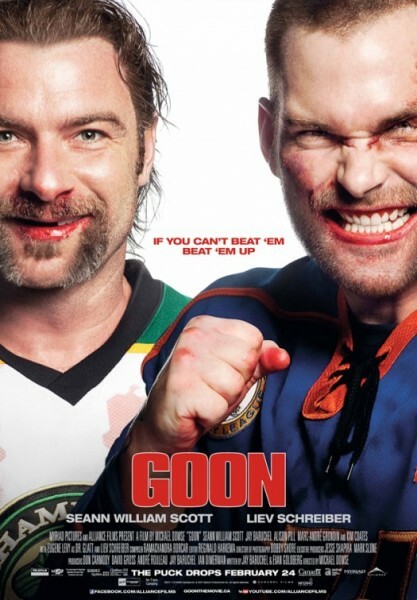 Then I watched Goon (2011) recently and I’m remembering why I liked him in the first place. Man, this movie is hilarious. I’m putting this trailer here for the heck of it, but I would recommend skipping it. Comedies like this don’t have justice done by the ads. The marketing always tries to make it look as “zany!” as possible and makes it look like crap. This is what a comedy needs to be. I was just complaining to a friend the other day how we need more comedies like Planes, Train, and Automobiles. 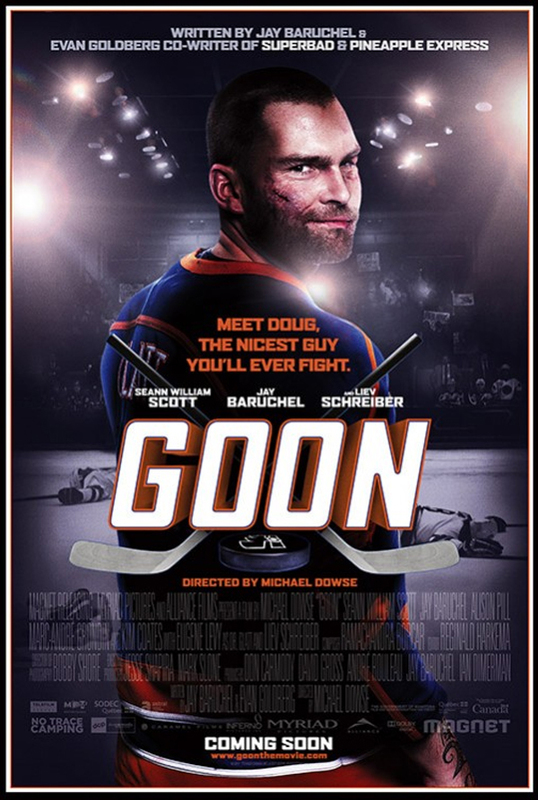 Well, Goon isn’t that but it is a Comedy with a simple story, characters you can laugh at and still like by the end, and a lot of great one liners. And as far as I’m concerned, that’s the makings of a movie comparable to a movie as great as Automobiles even though it won’t be recognized as such. A big part of what makes the movie so great is that the story is simple and doesn’t get in the way of the comedy without the Judd Apatow routine of allowing the actors so many one liners that you’ve forgotten what you’re watching. Basically, Doug is a good guy, an idiot, and he’s good at beating people up. Scott is good at this role and I was glad to see him holding back as a big ol’ dummy rather than the sarcastic jock, Stifler. And as much as I loved Dude, Where’s My Car? back when, his hyperactive stoner character Chester was exactly as I described and not much more. Doug, on the other hand, really feels like his own character. Not to ruin anything but I almost died laughing at the first fight Doug gets into with that hockey player who’s calling him and his friend a homosexual slur. The slow motion of Doug screaming into the camera “MY BROTHER’S GAAAAY” had me laughing so hard I had to pause it so I didn’t miss anything. Man, will I have ruined that for you? I guess you’ll know if you watch it. How often do you follow the exploits of an idiot in film that isn’t a stoner or generally unlikable? And due to this, there actually does seem to be an underlying message behind the film but nothing that gets too sappy and makes you want to skip past it. Though I’ve just criticized Apatow a couple paragraphs up, that’s really more of the direction he’s taken in more recent years. 2005’s 40 Year Old Virgin was one I thought I would hate but found to be great (Rhymes!) and it’s one that’s comparable to Goon in some ways. Virgin’s Andy like Goon’s Doug have some lessons to learn but they’re really the ones teaching everybody else to not be such douches. But Doug isn’t that way and the only thing he’s trying to do is “something,” of his “thing” as he calls it. “Everybody’s got a thing, y’know? I don’t have a thing.” Anybody that ever feels like that can relate and not by way of sappy, over dramatic scenes that feel forced. Including romantic subplots which I generally abhor for reasons mentioned above. Heck, even Jay Baruchel deserves respect for this one. As the supportive foul mouthed best friend, he actually made me laugh out loud like he never has. He’s really annoying, but that’s the point. He’s also one of the writers, along with Evan Goldberg, Seth Rogen’s go-to writing partner who co-wrote Pineapple Express, Superbad, etc. Sure, Baruchel lends a voice to the How to Train Your Dragon movies which aren’t bad, but even still he always seems to play a nerd that never changes so this is definitely a different step for him. If you get the chance, check Goon out. It’s on Netflix and it’s worth the hour and a half. Goon 2 is currently in development with Goon director, Michael Dowse back on board. We’ll see what happens. 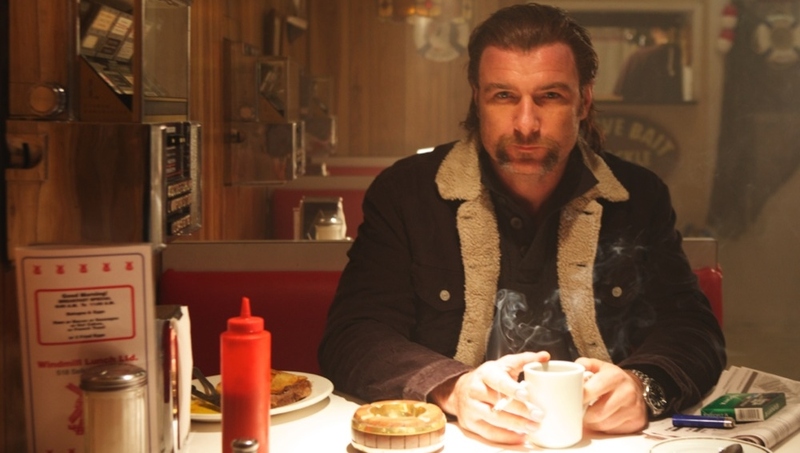 Also Liev Schreiber is in this and he is cool. That is all. This entry was posted on 12/05/2014 at 4:57 pm and is filed under You've Gotta See This with tags GOON, Hockey, Liev Schreiber, movie review, Sean William Scott, sports comedy. You can follow any responses to this entry through the RSS 2.0 feed. You can leave a response, or trackback from your own site.